Remember those Hollywood movies from late 80s where the main gate opens automatically and our hero’s sparkling car rushes through it without any hassle. Many in Pakistan still long for such gates even today because the technology is still far from hitting the mainstream in the country. However, now home and commercial building owners in Pakistan can find numerous vendors that are offering gate automation systems. What’s a gate automation system? A system that is assimilating on any typical swing or slide gate, so it can be opened automatically with just a click of a button on the remote. This means you won’t have to change your old or new main gate and incur more cost. Don’t believe what you’ve read? 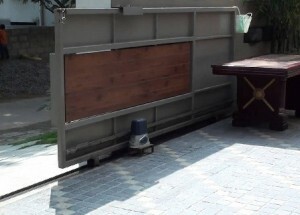 The video clearly shows gate automation is swiftly gaining popularity among homeowners in Pakistan, owing to the convenience and security it offers. On top of it, gate automation increases the value of a property. Most of the homeowners said they feel more secure after installing gate automation system, especially at night because they can open the gate without any assistance. Moreover, they are pleased with ease of operation and believe their property is more exclusive now. Besides increasing the security and value of a property, automatic gates also enhances the style of the house and prevents stray animals from entering the gardens. Not to mention, going out to close the gate on a rainy cold winter’s night is not on anyone’s priority list. 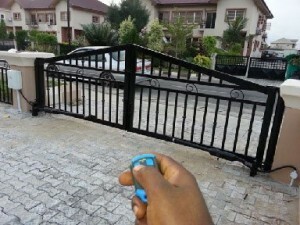 Installation of automatic gate system is easy and quick. Although there are different automatic gate operators for sliding and swing gates, but they are suitable for nearly all types of gates, be it heavy light, commercial or residential property gates. The operators come with intelligent control board, adjustable height accentuate and low voltage hydraulic pistons that are perfect for intensive use. The compact and sturdy automated system can efficiently swing or slide a gate with just push of a button on remote control once installed. Professional architecture companies in Pakistan such as AmerAdnan Associates are of the view that automatic gates offers great convenience and homeowners shouldn’t evade this technology just because of electricity load-shedding. 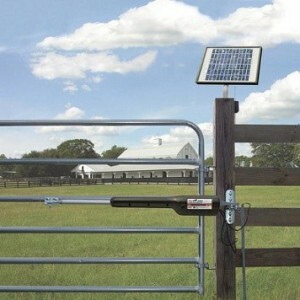 Particularly, when solar technology is widely available and can be used to power automated gate systems. 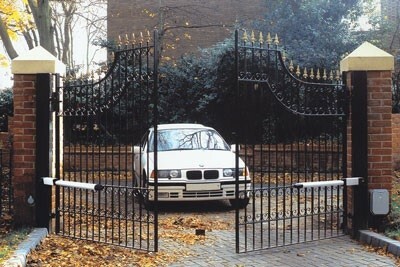 With gate automation, finally you won’t have to imagine. The gate will open automatically as you drive close to it and press the button on the remote. All you need is to ensure that it should be safe for human life in all aspects and numerous companies in the country are making it possible.